This summer promises to be a big one for bitcoin. There are two major events taking place that are expected to have far reaching effects on the popular cryptocurrency. One of these involves the current goings on of world politics and economics while the other pertains to the digital currency on a more fundamental level. However, understanding exactly how these will affect the future of bitcoin can be a bit complicated. The first of these events is the British exit from the European Union (or “Brexit” as it has come to be known). The United Kingdom held a referendum on June 23 to determine whether or not the country would continue with its membership in the EU—and its citizens elected to withdraw from the politico-economic entity. The exit has already had an immediate impact on world markets, plunging the British pound to lows not seen since 1985. But the Brexit isn’t all bad news. As stock markets and world currencies have been in a state of flux, bitcoin has increased in value and risen 9 percent (as the pound has decreased 8 percent). As uncertainty has gripped the European markets, bitcoin has become something of a safe haven for investors and has even been compared to gold. Bitcoin itself is not attached to any specific government, so it’s been seen as a more secure way for investors to maintain their wealth amidst the fluctuations of traditional global currencies. However, it’s important to know that bitcoin is still undergoing as many wild fluctuations as ever. At the beginning of 2016, the cryptocurrency was hovering around $430, hit a peak of near $800 in June, and dropped back to around $600 at the end of the month. While there’s definitely an incredible amount of value to be found in bitcoin it’s still not necessarily the most stable place in which to put your money. The other major event taking place this summer is what many refer to as the “halving,” which may sound like the title of a bad horror movie but there’s nothing scary about it. Much of the value of bitcoin is based on the relative scarcity of the cryptocurrency and the difficulty in creating more of it. Bitcoins are created through a complicated process known as “mining,” which is both time and labor intensive. This helps to keep the number of bitcoins in circulation at a minimum, thus combatting inflation. Inflation is also kept low because of the limit on how many bitcoins can exist at one time (21 million). However, as more enterprises are being created whose sole purpose is the creation of more bitcoins, the market is coming closer to reaching that number. 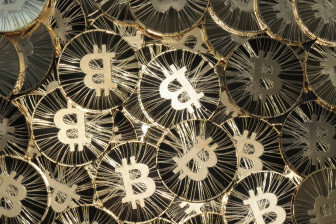 To combat ever hitting the 21 million mark, bitcoin goes through a process known as halving. Halving essentially cuts the amount of bitcoins that can be created in half, thus drastically reducing the supply and preventing too many bitcoins from flooding the market. For example, if a mining operation was able to create 50 coins in an hour, after the halving it would only be able to create 25 in the same amount of time. The halving is expected to occur around July 10 and will be only the second time that the cryptocurrency has cut down on its rate of production. The first was Nov. 28, 2012 after which the value of bitcoin jumped significantly—and another spike in value is expected this time around. It’s the simple law of supply and demand really. As it becomes more difficult to create more currency and demand for bitcoin continues to rise, the commodity will become more highly valued. It’s definitely an exciting time for bitcoin investors. Regardless of the current fluctuations, the cryptocurrency has an average 2016 increase in value of around 50 percent. It’s very likely to finish this summer much more valuable that when it started, and this is music to investors’ ears.